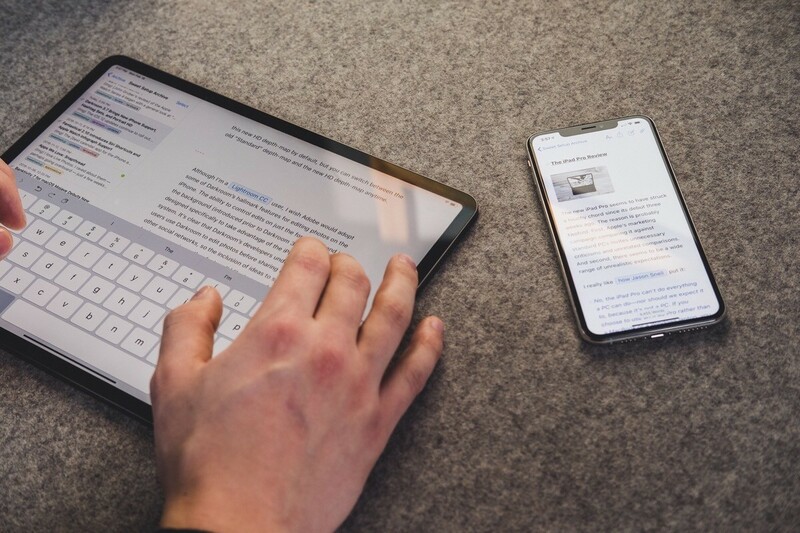 In August 2017, The Sweet Setup introduced a video course designed to equip users to get the most out of Ulysses, the popular Markdown text editor. Today, that 'Learn Ulysses' course is being expanded and revised in a major way. Everything has been completely modernized with entirely new videos that replace the previous set, plus the addition of brand new videos, written tutorials, and setups covering a variety of in-depth topics. The full details of everything included in the new Learn Ulysses are outlined here, but just to summarize: the new course is divided into four main sections now. The team at The Sweet Setup has done a great job expanding and remaking the new app tutorials, which help cover the basics of the app. However, as someone who uses Ulysses every day, it's the three other sections where I found the most value. Advanced Workflows covers things like publishing and Shortcuts, and also integration with other apps like GoodNotes, Things, and MindNode. The Writing Coaching section is written by The Sweet Setup founder Shawn Blanc, and is an invaluable resource to help make you a better, more efficient writer. Finally, Setup Interviews are a great way to see how other writers use the app and benefit from their knowledge. 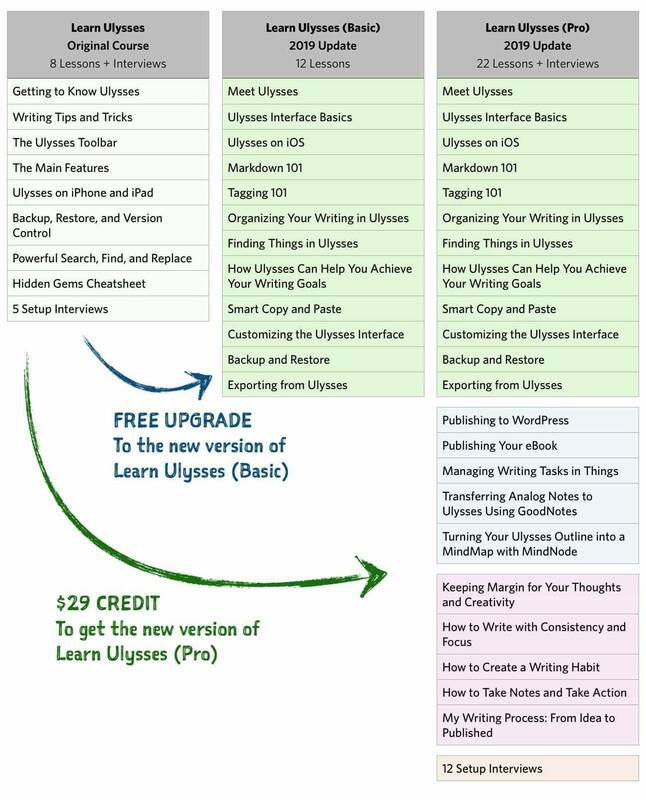 If you previously purchased Learn Ulysses, you'll receive a free upgrade to many of the updated course's materials. However, some of the new materials will require a purchase at a discounted rate. Here's a chart outlining your options. Learn Ulysses was a solid course before, but its modernization achieves a remarkable new level of depth and usefulness. I've been thoroughly impressed as I've gone through the course materials, especially those that fall under the 'pro' category. Even though I've used Ulysses as my primary Markdown editor for years now, there was still a lot for me to benefit from here. You can purchase Learn Ulysses for a limited time at the special launch price of $44 – it will go up to its regular $57 price soon. As I mentioned above, those who purchased the old course will receive some new content for free, and can obtain a discount code to buy the complete new course at a further reduced cost.